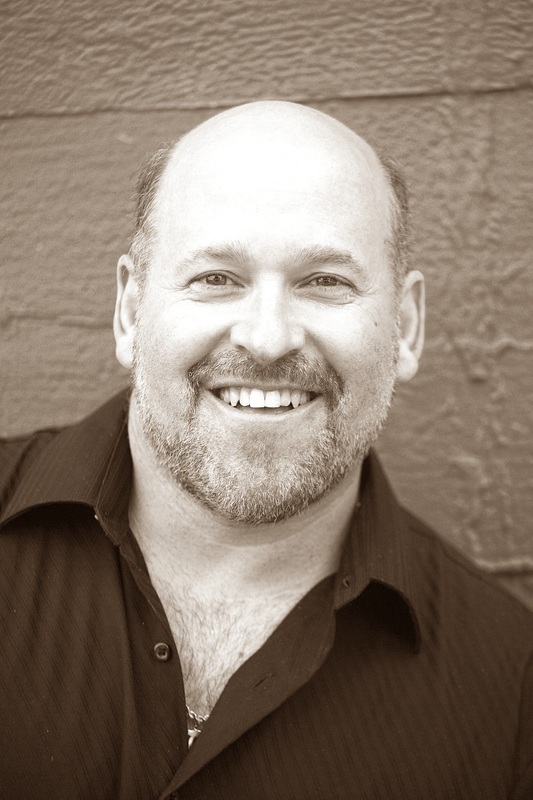 Multi-Grammy and Tony Award nominated composer/producer Frank Wildhorn's works span the worlds of popular, theatrical, and classical music. Jekyll & Hyde holds the distinction of being the first new American musical to have two internationally released concept recordings of the score: Highlights From Jekyll & Hyde and Jekyll & Hyde: The Complete Work. Songs from the show such as " Someone Like You," " A New Life" and " This Is the Moment" have been performed worldwide and have been featured at the Olympics, the Super Bowl, the World Series, the World Cup international soccer championships, Miss America Pageants, the 1996 Democratic National Convention and the inauguration of President Clinton (sung by Jennifer Holliday). The Broadway cast recording was released in July of 1997 and received a Grammy nomination that year. The Broadway production of Jekyll & Hyde is the longest running show in the history of the Plymouth Theater. The show has seen three major tours and over 500 regional productions in the United States and Canada. More than 100 international productions also have been seen in such countries as Germany, Austria, Spain, Hungary, Japan, Sweden, Belgium, the Netherlands, Denmark, the United Kingdon, Japan, and Australia. There have been 32 international recordings of Jekyll & Hyde in 28 different languages. A new recording entitled Jekyll & Hyde: Resurrection was released in 2006 on the GlobalVision Records label. In 2014, the musical "Jekyll and Hyde" was staged in the St. Petersburg Theater of Musical Comedy and was received with great success by the public. The performer Kirill Gordeev was awarded St. Petersburg Higher Theater Award "Golden Sofit" for the parts of Jekyll/Hyde. The Scarlet Pimpernel played at both the Minskoff Theatre and the Neil Simon Theatre on Broadway. The show has been seen on two tours of the United States and Canada, and in such countries as Finland, Mexico, the United Kingdom, Ireland, Australia, New Zealand, the Netherlands, Germany, Denmark and Malta. The show's score yielded a Top 40 Adult Contemporary hit with the song " You Are My Home," a duet recorded by Peabo Bryson and Linda Eder. The Broadway cast recording was released in February of 1998, and a new album entitled The Scarlet Pimpernel: Encore! was released in November 1999. A German-language recording was released in 2003. The Scarlet Pimpernel also has the distinction of winning Best Musical in Japan in 2007, performed by the famed Takarazuka Revue. Wildhorn has produced two star-studded concept albums of The Civil War: The Nashville Sessionsand The Complete Work (a two-disc album). These feature such artists as Hootie & The Blowfish, Blues Traveler, Trisha Yearwood, Travis Tritt, Dr. John, and Patti LaBelle, among others. The show had its world premiere in 1998 at the Alley Theatre in Houston, TX, and played its pre-Broadway engagement at the Shubert Theatre in New Have, CT. Following its Broadway production in 1999, the show was seen on a two-year national tour that featured John Schneider, Larry Gatlin and BeBe Winans. Under the title For the Glory, the show had a run at the newly restored Majestic Theatre in Gettysburg, PA in 2006. In 2008, The Civil War was performed at the National Theatre in Washington DC for President George W. Bush and First Lady Laura Bush, and featured a star-studded cast that included Trisha Yearwood, Clay Aiken, BeBe Winans, Larry Gaitlin, Hal Holbrook, Avery Brooks, Dr. Maya Angelou, and an ensemble of Broadway’s best. International projects include: Carmen (written with Jack Murphy and Norman Allen) in Prague, Czech Republic in 2008 (cast recording on EMI Czech Republic); The Count of Monte Cristo (written with Jack Murphy) in St. Gallen, Switzerland in 2009 (cast recording on MWB/HitSquad) and Seoul, South Korea in 2010 (cast recording from EMK Musical Company);Never Say Goodbye (written with Shuichiro Koike), performed by Takarazuka Revue in Takarazuka and Tokyo, Japan in 2006 (Wildhorn was the first non-Japanese artist to be commissioned to write an original musical for the company), the success of which resulted in their follow up with The Scarlet Pimpernel in 2010 (cast recordings for both productions from Takarazuka Revue Co.); Rudolf: The Last Kiss (written with Jack Murphy and Nan Knighton) in Budapest, Hungary in 2006, Tokyo, Japan in 2008, and Vienna, Austria in 2009 (cast recording on MWB/HitSquad); Cyrano de Bergerac (written with Leslie Bricusse) in Tokyo, Japan in 2009; Dracula in St. Gallen, Switzerland in 2005 and Graz, Austria in 2007 (cast recording on MWB/HitSquad); Mitsuko (written with Jack Murphy and Shuichiro Koike) as a musical concert in Vienna in 2005, and performed in a combined concert with Frank Wildhorn & Friends in Tokyo and Osaka, Japan in 2011; Tears of Heaven (written with Robin Lerner and Phoebe Hwang) opens in Seoul, South Korea in 2011 and has yielded a concept recording in English; Jekyll & Hyde everywhere! U.S. projects include: Bonnie & Clyde (written with Don Black and Ivan Menchell) played at the La Jolla Playhouse in La Jolla, CA in November 2009, had a second production at the Asolo Repertory Theatre in Sarasota, FL in November 2010, and opens on Broadway in Fall 2011; Zelda (written with Jack Murphy), based on the lives of F. Scott and Zelda Fitzgerald, had its world premiere at the Lenape Regional Performing Arts Center in Marlton, NJ in 2005; Camille Claudel(written with Nan Knighton) played at Goodspeed Opera's Norma Terris Theatre in 2003 and yielded the song " Gold," heard at the opening ceremonies of the 2002 Olympic Winter Games in Salt Lake City, Utah. Upcoming projects include: «Mata Hari» at the Moulin Rouge, «The Man Who Laughs», «Song of Bernadette» and «Casanova». In 1998, Wildhorn wrote all original music and served as music director for the Goodwill Games in New York City. In 2005, Wildhorn was commissioned by NYC & Co. (New York City's tourism board) to write a new theme song for the city, "New York: The Time of Your Life”. He has written original material for Linda Eder's concerts at the Gershwin Theatre on Broadway, her two Carnegie Hall solo concerts and her recent holiday concert at the Palace Theatre on Broadway. He also co-produced and wrote original material for Eder's albums: Linda Eder, And So Much More, It's Time, It's No Secret Anymore, Christmas Stays the Same, Gold, Broadway My Way and Storybook. He has also produced Eder's Christmas concert special for the Bravo television network, as well as Broadway's Best on Bravo, for which he also served as creative director. Artists who have recorded and performed his music include Whitney Houston (with the international number one hit " Where Do Broken Hearts Go?" ), Natalie Cole, Kenny Rogers, Sammy Davis Jr., Liza Minnelli, Julie Andrews, Freddie Jackson, Deana Carter, Tracy Lawrence, John Berry, Trisha Yearwood, Trace Adkins, Patti LaBelle, Bryan White, Amy Grant, Ben Vereen, Regina Belle, The Moody Blues, Jeffrey Osborne, Stacy Lattisaw, Dennis DeYoung, Molly Hatchet, Brenda Russell, John Raitt, Anthony Warlow, Stanley Turrentine, Johnny Mathis, and Colm Wilkinson, to name a few. Wildhorn is an associate artist in musical theatre with an endowed chair at the Alley Theatre in Houston, TX, where he launched Jekyll & Hyde (1990), Svengali (1991), and The Civil War (1998). He also wrote music for Arthur Kopit's play The Road to Nirvana and scored the play Cyrano de Bergerac. As a record executive, Wildhorn created and ran Atlantic Theatre, a division of Atlantic Records/Time Warner Music from 1994 to 2004. He currently has his own label deal (Soul Bear Records) with Sony Masterworks (a division of Sony Music). The first release of this new venture was the concept recording of the Broadway musical Wonderland. He also has an international recording partnership, MWB (Music Without Borders), with his partner Martin Bohm's company MG-Sound/HitSquad Records in Vienna. Recent releases from that partnership include The Count of Monte Cristo (the first concept recording in English of a German production and a cast recording in German), Dracula (cast recording), Rudolf(cast recording, DVD, and double-CD live recording), and Wonderland (concept recording). May 2017, in colaboration with the St. Petersburg Theater of Musical Comedy, Frank Widlhorn made a concert in Peteburg for the first time. Actors who played the roles in his musicals in Russia and Europe - Mathias Edenborn, Sabrina Weckerlin, Lisa Antoni, Ivan Ozhogin and Natalia Dievskaya, took part in the show as well as the orchestra and the choir of the Theater of Musical Comedy. Associate artist at the Alley Theatre in Houston. Awarded an honorary doctorate from Marymount Manhattan College in 2014.